Imagine the positive impact and lasting benefits that can come from supporting your leaders in accomplishing their strategic and operational goals. Imagine your leaders demonstrating ‘best-in-class’ skills in such areas as building successful teams, cultivating a strong talent bench, communicating vision and purpose, developing loyal employees, and creating daringly productive environments. Imagine having the reputation for great leadership and the inspirational culture to virtually ensure your highest quality talent pool never runs dry. Imagine having an environment of innovation that pervades your company because it is encouraged and stimulated through the consistent behaviors and actions from top to bottom. TurnKey executive coaches and consultants have decades of senior level business leadership experience in addition to years of coaching experience, extensive training, and serious credentials. Our coaches are experts in facilitating successful growth and development, even at the highest corporate levels, and unleashing the potential of already powerful executives. Today’s companies are fast moving, culturally diverse and organizationally complex, with complicated reporting and authority relationships. Our clients appreciate the fact that we really understand their daily experiences and the challenges of global corporate leadership. TurnKey Senior Professional Coaches are all highly experienced executives with extensive hands-on knowledge about what it takes to be successful in a competitive corporate environment. Each one has significant credentials and certifications to bring to the coaching engagement. Above all, we deeply care about our clients’ success. We believe in coaching to strengths. The most successful executives find ways to maximize the use of their strengths and mitigate their competency challenges. Unquestionably, individual coaching in a safe, confidential relationship is the best way to assess strengths, identify development opportunities, and create a plan for taking action. Coaching simply works. According to PricewaterhouseCoopers and Association Resource Centre in their Global Coaching Client Study for the ICF (2009), the median company return on investment (ROI) was 700% indicating that typically a company can expect a return of 7 times the initial investment. Further, they reported that given the same circumstances that previously lead them to seek coaching, almost all (96%) clients indicated that they would indeed repeat the process. Corporations also see coaching as an effective retention tool. Particularly at the senior levels, the cost to replace a key leader in terms of recruitment expenses, lost brain trust, and gaps in leadership direction, can be offset many times over by providing the right kind of coaching and mentoring. 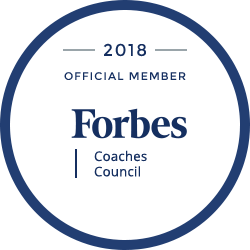 Corporations believe that coaching helps keep employees and that the dollar investment in it is far less than the cost of replacing an employee. Coaching has clearly emerged as the best way to help executives think strategically and work together more effectively. The benefits of a leadership team that is in harmony and working in concert are immense. Business Coaching is needed today more than ever as a critical tool for organizational change. . . . Change is essential for an organization to grow and adapt to today’s rapidly shifting marketplace. . . . In changing from old hierarchical models to relational models for leading and influencing, businesses are creating coaching cultures that encourage organizational learning. Coaching has emerged as the best way to help individuals learn to think and work together more effectively. TurnKey applies a systematic and strategic approach to Executive Coaching gleaned from years of practical experience and ongoing study and research in the areas of executive development, human behavior, and professional coaching skills. We have found that there are few substitutes for actual hands-on, meaningful business experience when it comes to assisting our clients in their personal development and solving business challenges. Our coaches focus on tangible business results aligned with broad corporate objectives. The depth of our expertise coupled with the selective use of tools and other instruments enable us to tailor our coaching to each client’s unique needs for maximum results in the most cost effective manner possible. We believe senior executives are looking for pragmatic, laser-focused business coaches, not therapists. Research has clearly shown that the most powerful, effective and lasting form of professional development for senior executives comes from a confidential, one-on-one process. The individual has the opportunity to carefully and openly examine his or her leadership skills in a completely safe environment and then create specific and highly tailored actions steps to accomplish selected development goals. 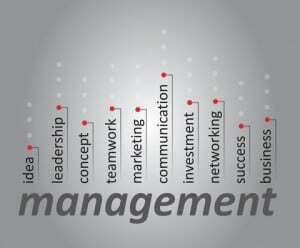 With the most senior executives, leverage is immense. Even very small changes in behaviors can have dramatic effects on the organization. Realistically, however, these are often the hardest changes to make. One of the most important keys to a successful engagement is coach/client match. TurnKey completes a comprehensive survey and executive interview in order to choose just the right coach. An initial “chemistry-check” call ensures a good match from the very beginning. TurnKey GUARANTEES a good fit throughout the engagement. Confidentiality is a mandatory element of the coaching engagement. The coach and executive must develop a relationship of mutual trust. This is made clear to the company and to the executive at the beginning of the engagement. TurnKey uses a three-stage coaching model that incorporates a behavioral approach to learning and change. Awareness: Awareness is perhaps the most critical step in the process of personal development. In this stage, we would collect data as needed through dialogue with the client, assessment instruments (as needed), some written document reviews (e.g. performance appraisals), and several personal interviews of colleagues, employees, and other management (“Interview 360”). A variety of sources is important in order to obtain an honest and complete picture of the individual’s unique strengths and challenges. Within the first couple of sessions, the executive will explore their assessment data and choose development goals that are most relevant. The most important outcome in this early stage is the individual’s personal acceptance and ownership of the development opportunities evidenced by the feedback, and commitment to invest in the time and effort required for change. Planning: We then move from acceptance to the detail planning for change. We help the executive create a personal development plan to guide and prioritize his or her efforts. We also strongly recommend a debriefing and planning session with their direct supervisor, for which we coach the executive. The coach participates in these 3-way meetings that are usually held several times throughout the engagement. Action: Then, the executive is responsible for carrying out the plan. During this stage, we have found that for significant personal change to occur successfully, periodic one-on-one coaching sessions are extremely valuable for the busy executive. Regularly scheduled coaching sessions, especially early in the process, help to sustain momentum and hold the executive accountable for completing action steps. In addition, private and confidential coaching provides a safe and positive support environment for the executive to explore development barriers and design productive strategies for overcoming potential difficulties. Our Executive Coaching Programs are comprehensive, highly personal, and uniquely designed for the flexibility and sophistication demanded by the most senior executives. The Senior Professional Coaches have specialized training and expertise that are critical for a productive executive coaching engagement. Thus, TurnKey carefully evaluates these coaching assignments and accepts only those executives who are serious about their professional and personal growth and are willing to be engaged in self-reflection and proactive change. As with all our clients, we carefully choose the right Executive Coach for the assignment and we absolutely guarantee satisfaction. As a result, this process if considerably more customized and selective than other programs. We know it’s worth it.